Alexandrite is the name used for the rare chrysoberyl that exhibits a distinctive color change. 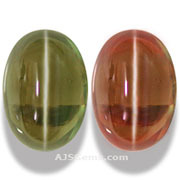 It is considered the premier color change gemstone, and in fact is one of the rarest and most valuable of all colored gems. These rare chrysoberyls were first discovered in 1830, in the Ural mountains of Russia. The new variety was named after the young Tsar Alexander II (1818-1881). Since it shows both red and green, the principal colors of old Imperial Russia, it was embraced as the national stone of tsarist Russia. Though the initial deposit was a significant one, and the gems very high quality, the deposit was eventually worked out. Today most alexandrite comes from Brazil, Sri Lanka, Tanzania, Madagascar and India. Alexandrite is an aluminum beryllium oxide by chemical composition, similar to other chrysoberyls. But alexandrite is colored by traces of chromium, which gives it a greenish hue in daylight and a purplish red color under incandescent lighting. 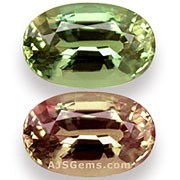 Like other members of the chrysoberyl family, alexandrite has excellent hardness, rating 8.5 on the Mohs scale. Chyrsoberyl has a refractive index of 1.746-1.763 and a density or specific gravity of 3.70-3.78. Alexandrite exhibiting chatoyancy or the cat's eye effect is also known, but quite rare. 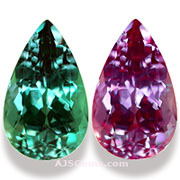 The prices and value of natural alexandrite depend on the size and quality of the gemstone. The most important factors in valuing alexandrite are strength of the color change, color saturation under varying lighting conditions, clarity and size. 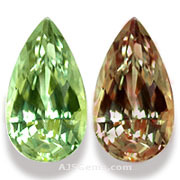 Alexandrites with a strong color change are very valuable and clean stones over 1 carat are rare indeed. Today the finest Alexandrite comes Brazil, though in very limited quantities. The Tanzanian material is more common, but the color saturation and color change are not as fine. Market prices reflect quality and rarity. Synthetic alexandrite was first produced in the laboratory in 1973, using the flux or Czochralski methods. 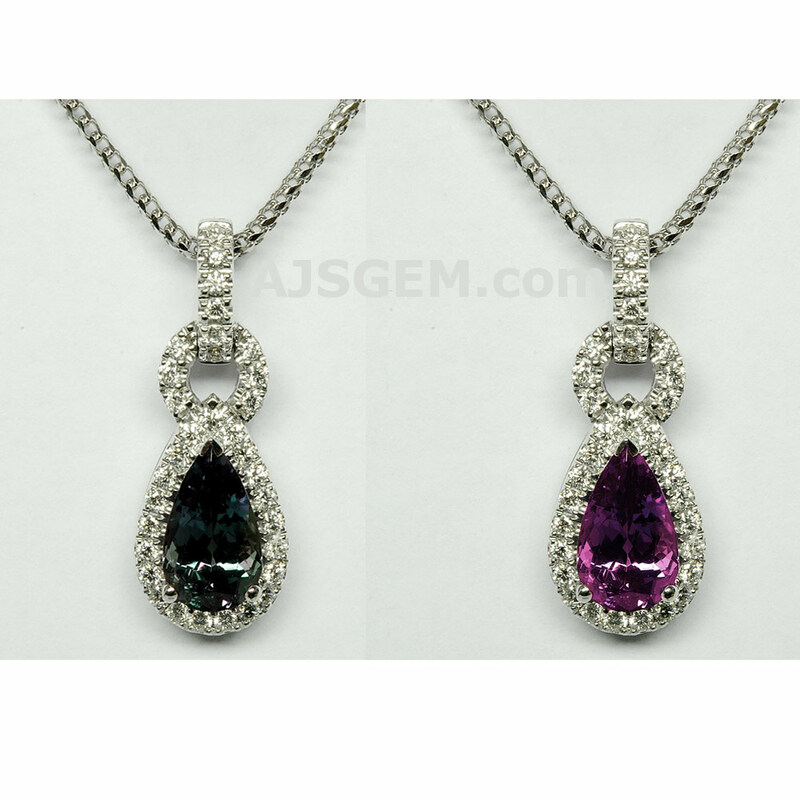 The synthetic stones shows a color change that is similar to natural alexandrite. The synthetics can be identified by gemological analysis, since they usually exhibit signs such as flux inclusions, metallic platelets, curved growth lines or gas bubbles, depending on the method that was used to grow the crystals. Synthetics also tend to have a slightly lower refractive index and stronger fluorescence than natural alexandrites.